Well guys I decided it was time for me to start a thread to help me keep track of my progress in various projects. 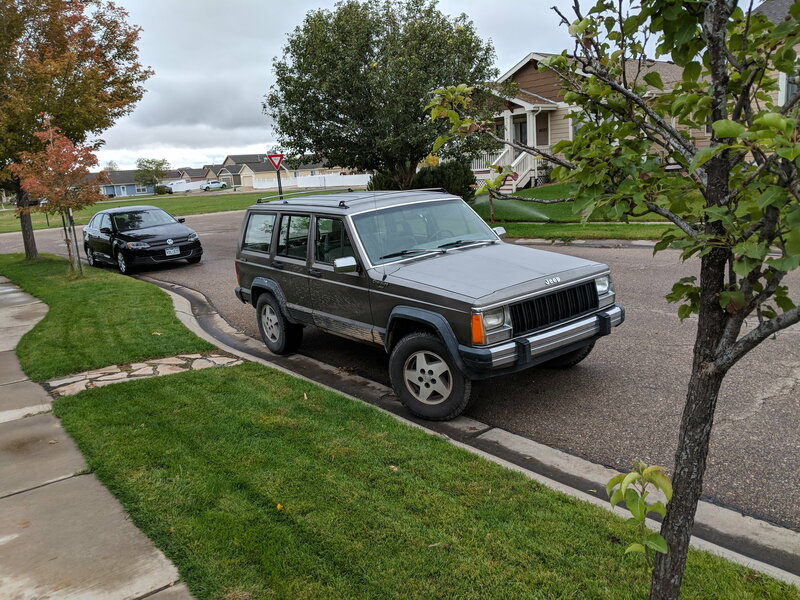 I'm happy to introduce you all to my newest purchase and first foray into the Jeep world, a 1990 XJ with the Renix 4.0 and five speed manual trans that I have nicknamed the War Wagon. 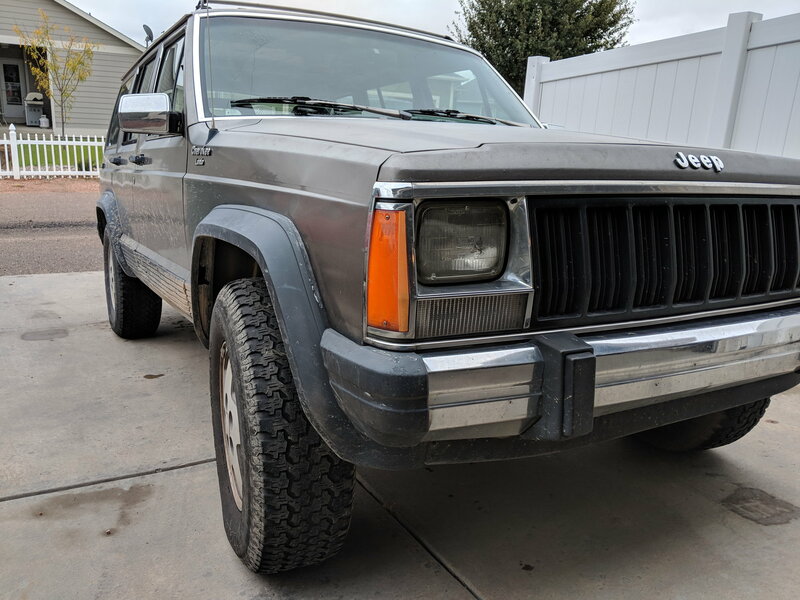 From all indications and the big stack of receipts I came across in the glove box this Jeep has been very well maintained over the years and has remained in it's bone stock form giving me a true blank slate to build off of. The motor has a little over 260k on the clock and the synchros in the trans like to act up when cold starting, but overall it runs every bit as well as you could ever hope for it to. When I set out to buy an XJ my original plan was to get something that I could buy and make relatively cool for super super cheap. 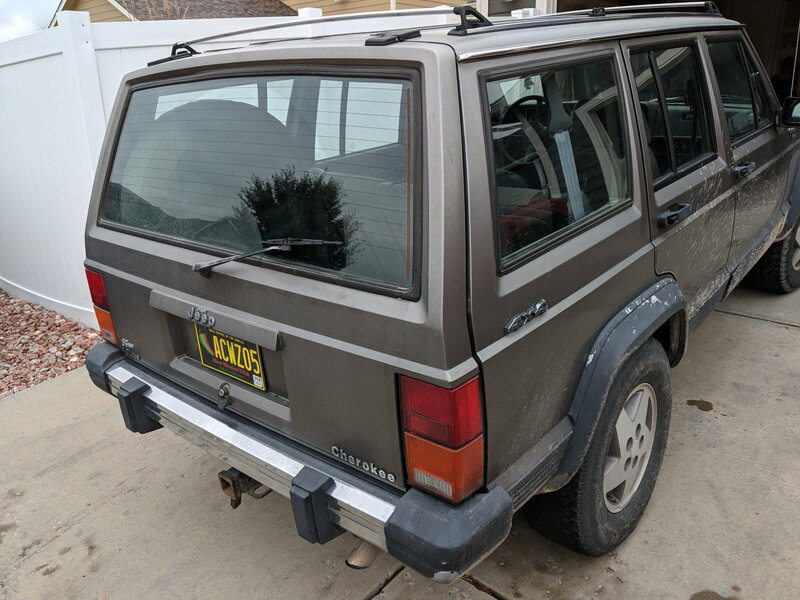 I had planned on cutting the fenders and running a junk yard lift, generally just making something I could bash around like an angry teenager in. 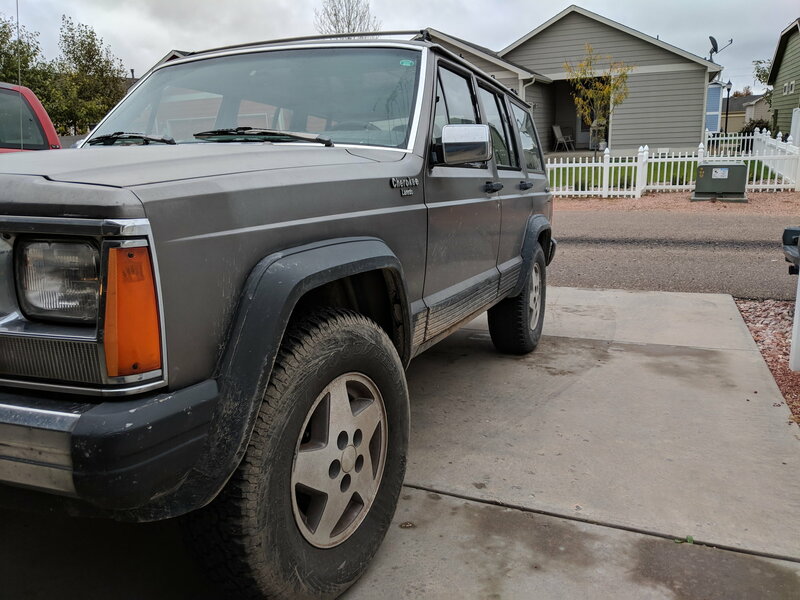 After I got this home and started realizing how good of shape it was in I realized that I can't bring myself to ruin such a nice Jeep like that so I'm now planning on a much longer and more comprehensive build. 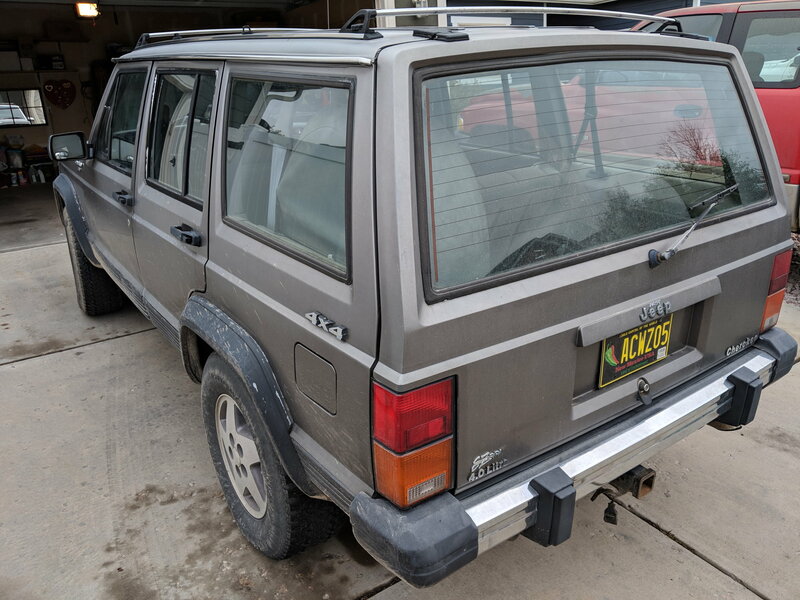 My plan as of right this second is just to build it up into a really capable trail rig that will still be comfortable to drive to work every day if I want to. I may even decide to go somewhat in the direction of an overlander build when I get to that point but for now that is a long way off. I've already done some work and have some projects going on but I don't want to clutter up this first post too much so I'll go over all that in a second post below. 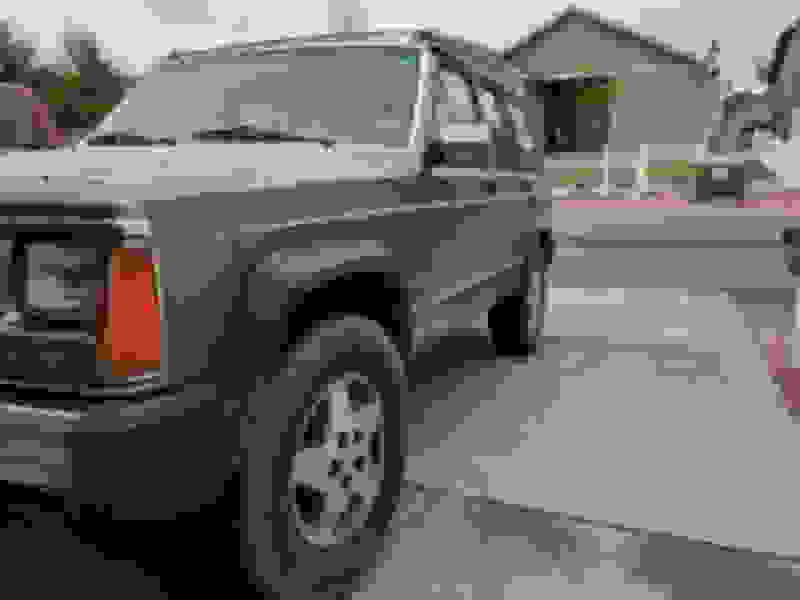 This probably won't be the fastest or the most exciting build but I'm extremely excited to see where I end up with it and I'm glad I'll have this thread to be able to look back on progress I've made as I make it. This forum has already been incredibly helpful to me and I know will continue to be so I want to thank everyone for all the help I've received all ready and that i'm sure I'll get from you all in the future!